Ribs develop from the thoracic ventrolateral sclerotome. There are twelve pairs of ribs in humans. The first seven pairs are known as “true ribs”, as they are connected by cartilage to the sternum bone on the front. The next three pairs (8-10) have the cartilage extensions connected to the cartilage of the previous ribs. 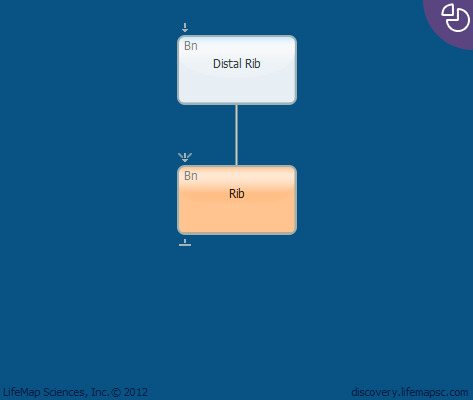 The last two pairs (11-12) are known as “free ribs” as they and are not connected to the sternum. The back the ribs are attached to the thoracic vertebrae. Together with costal cartilage and the sternum bone, the ribs form the thoracic cage or rib cage.